After touring Mahogany’s gorgeous model homes, you can kick-start your exploring with the short 10-minute stroll down Manotick Walk from Mahogany into the village. This landscaped path is perfect for walkers, joggers and cyclists — you can bypass the main roads for a safe and quiet journey into Manotick Main Street. The great thing about Manotick is its size; the tight-knit community and concentrated main street keep things feeling close and inviting. It’s the kind of place where your neighbours work in town, you’re a regular at your favourite cafes and restaurants, and you’re greeted by name when you walk through the door. There are some incredible spots for gourmet breakfasts and brunch, lunch spots for every appetite and award-winning bistros to celebrate any occasion. Stop by Take Another Bite for a latte and one of their delicious pastries like their raved about Raspberry Peach Cream Cheese Danish. Have a girls’ night out for Black Dog Bistro’s Wine Wednesdays, or once Mahogany becomes home, celebrate a family birthday with an unforgettable dinner. 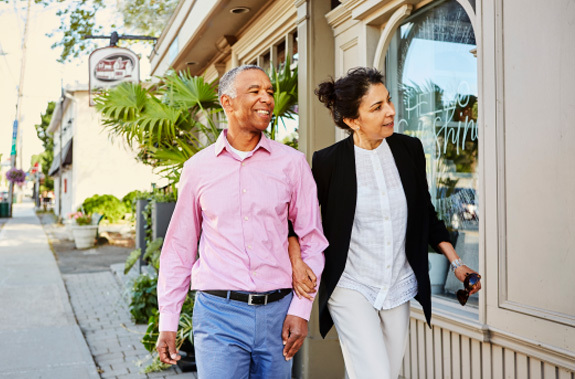 Whether you’re in the market for groceries and home supplies or you’re due for a day of pampering, Manotick has lots to offer. Drop into one of Ottawa’s most prestigious salons, Rinaldo’s, who have a Manotick location, to get your hair styled by some of the city’s most sought after stylists. If it’s pure relaxation you’re after, Allure Hair Design and Spa is located in one of Manotick’s renovated historical homes and houses an ultra-soothing day spa. Pick up a bouquet of arranged flowers from the Mill Street Florist to bring a fresh pop of colour to your home and do a full grocery shop at Robinson’s Independent or grab some last minute items at M&M Food Market. Manotick was founded in 1859 and has retained so much of that historic charm. You’ll see it while you walk down Manotick Main Street and come across Watson’s Mill. The mill is an icon of Manotick and is one of the only working mills in North America. Did you know you can buy stone-ground whole wheat flour from the mill, made on site? Manotick has also been home to a number of notable residents; we even named some of our new Mahogany Bungalow Townhomes after them! Thanks to the Mahogany Harbour Enhancement Project, you’ll soon be sitting dockside on the Rideau River while the kids play in the small parkette and boats rock against their moorings. It will make for a great spot to spread out a picnic or enjoy an ice cream cone in the summer along the waterfront, and perfectly complements the abundance of parks and green spaces in Mahogany. Find everything you need in Manotick with our Mahogany amenities map. There are everyday essentials, restaurants, bars and grills, local schools, golf courses, community and recreational centres, and so much more. 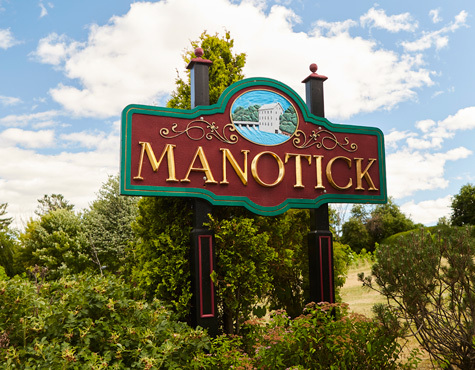 The best part about imagining yourself in Manotick? You’ll find lots of inspiration for new traditions once Mahogany becomes home.